I think this struck a nerve for a lot of folks, myself included. It also explains a lot in the game for me – things like XP being more heavily based on treasure than killing monsters, and codified morale rules. This topic came up around the game table recently, and the group I’m playing with has been playing together literally for decades, so they’re well rooted in both old and new school. One interesting argument put forth by one of the players was that the primordial origins of D&D was in fact war games, games specifically entirely about combat. Combat, he argued, was baked into D&D’s DNA from the first, and has thus always been the primary focus of the game. …the history of D&D is inextricably linked with the history of RPGs as a concept, such that, in many ways, D&D can be seen as a “living fossil” of what the whole genre of “role-playing games” originally started from. If D&D today seems combat-heavy, it’s only because we’re looking at it from a modern perspective, and comparing it to the many other game systems which took the ideas pioneered by D&D and ran with them much faster and further than D&D itself ever did. I like this concept of D&D being so linked to the history of RPGs in general that it’s difficult to pull apart the threads. I suspect given the evolutionary nature of D&D, that saying “design decision X was of primary concern” would simply never fly. Even the creators, were they still around to discuss it, might have trouble saying exactly what decisions were made when and why. Rob Kuntz is about to publish a book that will render this answer (perhaps) obsolete. I have the “teaser” of four essays that he put out, and will comment further once I’ve read his book. Is this true? Gosh I hope it is. Where can I get this book? Short answer: I agree with you. Nice observation. Long answer: Its interesting (and sometimes a bit depressing) all the people saying how ‘this’ or ‘that’ is the correct or best way to play a game (rpg). Any rpg game. I took to heart the advice from the early games that it was a) mine to do with as I pleased and b) hacking the rules was ok – both in support of the core goal – for you and your mates to have fun playing the game. My observation of how it was played in the 1980s in my neck of the woods when I first started was that it mostly an exploration focus. And respecting your comments – I’m not trying to tell anyone how to play their game, nor what is best. Fights were fun and part of that. A large part. But so was cleverly avoiding fights or finding traps. So was levelling up – but only as a measure of you getting better, of making progress. All driven by investigations and explorations of one kind. In the majority of the groups I was aware of and involved with. Games of Runequest and Traveller were often very much the same, but modified by the different settings. Cult allegiance and missions became our focus in RQ, and in Traveller all the groups I played with tended to perversely avoid trade – so we were pirates, mercenaries or scouts and scientists. Not mercantile at all. And while character life was cheap, people developed characters and personalities well beyond the stereotypical alignments and ‘dwarven fighter’ tropes. At least then they did. It is true that RPGs cover a very broad spectrum of activities and what some find to be the core fun element may not be true for others. Debating which is “best” is both futile and pointless. This is a topic I often find myself dancing around on this blog, chiefly because I recognize that fact and don’t want to discredit anyone’s preferences, but I do want to dissect my own experiences with some level of academic rigor. There is certainly an interesting historical point of “what did the original authors intend?” It’s a very academic question to ask, and ultimately shouldn’t have any impact on perception on the “right” way to play a game, but is interesting in its own right, and what I was trying to explore here. 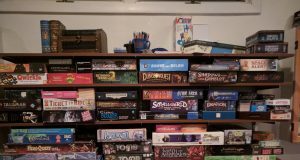 More pragmatically, when considering anything from writing a convention listing to forming a new weekly gaming group, understanding up front what you’re signing up to play is key to ensuring everyone has a good time. Unfortunately the de facto short-hand of “do you want to play D&D” is perhaps insufficient to this task. I think based on the above I’d say that “do you want to play Original D&D” is also not quite enough – the historic information of the printing is certainly more specific, but perhaps still not enough to fully inform on style of play.